Container Market Report June 2018 | EF International Ltd. There is an article in Nikkei dated June 6 that Sharp purchase subsidiary stock of PC business, 80.1% of Toshiba for 4 billion yen. One Japanese maker withdrew from the PC business again. Toshiba released the first note PC with a brand of “Dynabook” in the world in 1985. There was the time that they were proud of No.1 share in the PC in the world. Toshiba have been selling a promising product section by piece as a result of a series of deplorable affair cases and have been trying to survive. Sharp fell into the management crisis with a large amount of deficit and was sold to Taiwanese company, Hon Hai 2 years ago. The brand of “Kameyama” of the world of the liquid crystal television became extinct too. However, Hon Hai let Sharp make V-shaped recovery in approximately a little less than two years afterwards. Sharp had the process that withdrew from PC business of the “Mebius “ brand in 2010. It is a re-entry of the PC business by Hon Hai. Does it become the resuscitation of the Japanese brand by the foreign capital? What happened to other Japanese PC makers? Hitachi stopped the PC production by themselves after they made a business tie-up with Hewlett Packard in March 2007. NEC split up PC division in the joint venture with a Chinese maker, Lenovo. How about world Sony? Sony transferred a PC section in VAIO Co., Ltd. in July, 2014, too and withdrew it substantially. It became only “Let’s note” of Panasonic to stay as a famous brand in Japan. 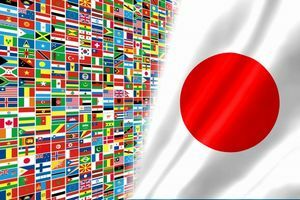 It is a long time since the word of IT and IoT has been quoted but it is reality that a Japanese maker has been forced to retire from the PC-Hardware market which they used to be strong. In the times of IT Network with the possibility towards an era of reform it is quite regrettable to see no domestic PC maker involved, who used to sweep over the world. There may be big estrangement between development of products and the marketing in Japanese company. They have to have the viewpoint of seeing dozens of years in the future regardless of an immediate profit. It is a good product, but is not popular. What do you say a good product with? It is meaningless if it is not needed by a user. In addition, it is a useless treasure even if there are a lot of functions not to use. There is not for the purpose of self-satisfaction of the development section. They could lower the price if they exclude the faction not to use. They want a simple thing if they get old. There is various needs. Whom do you target with? Is the target the local or the world? You could approach the core more if you could utilize a large quantity of Data. It is next Target. There was Data in front and you did not only make use of them. I am excited when I think about how to integrate and combine necessary Date in order to make sure of the nature of the problem. It is 3 months since Ocean Network Express started. This company is a unification company of the Liner dept. of 3 Japanese shipping lines with the history more than 100 years each. They are proud of 240 containerships in operation with 1.46 Million TEU of operation scale, which is No.6 in ranking with 7% of the world share. The shipping line has the process that came facing globalization early. The big advantage is that they are the superior think tank chosen elite among the liner of 3 shipping lines. Besides, they make use of their valuable Data of the liner dept. based on the long reliability and performance established for long history more than 100 years. It is the rare shipping line who can depart from zero. They will be free from the shackles of convention. 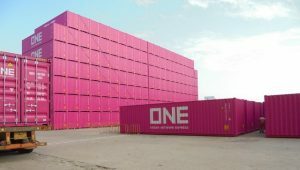 I am convinced that the time will come early, when the world will be painted by a Magenta-colored container and a containership. The new container price is $ 2,250 per 20f. New container factory stock of the end of May is 970,000 TEU. The total volume of new containers from Jan to May is 1.8 Million TEU. Annual production number is force more than 4Million. The quantity of world container movement of April is 13,076,967 TEU which is 5.7% increase from a year earlier, seven months consecutive pluses. The container transportation results of May from Asian main 10 countries and area to USA is 1,410,529 TEU, 4.1% increase from a year earlier and exceeded the last year for 15 consecutive months. The total from Jan to May was the highest ever with 6,435,355 TEU, up 6.7% from a year ago. The waste paper and abolished plastic lost a place to go by the import control for recyclable waste of China under influence of US and China trade friction and then went to Thailand, Vietnam, Malaysia but it had caused the congestion of the terminal, an accumulation of freight so that Ho Chi Minh in Vietnam cancelled acceptance of the waste paper and abolished plastic. So it seems to change a flow to India due to slow regulation about it.